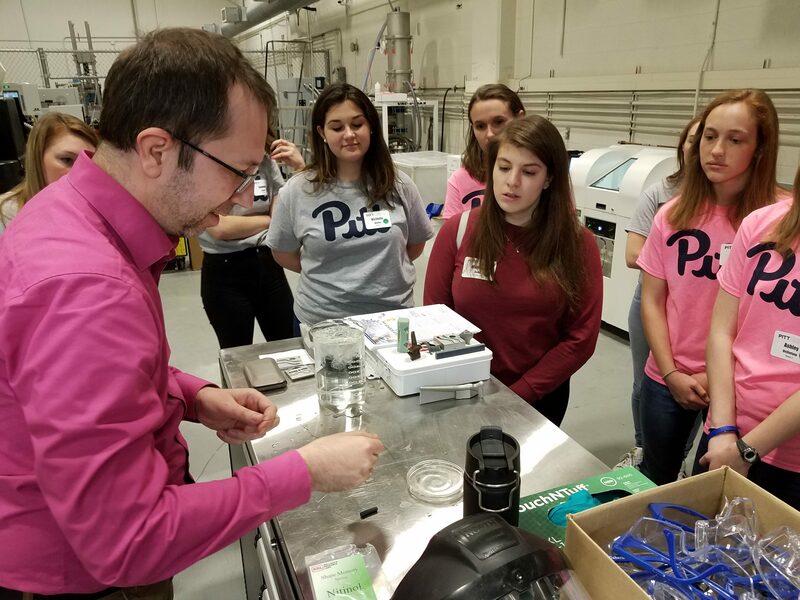 Today, we showed some admitted female students how awesome Pitt and materials science are. These students have been admitted to Pitt engineering but haven’t committed to a school yet, and also haven’t chosen their major yet. We showed them around the ANSYS Additive Manufacturing Lab, and demonstrated the amazing shape-changing properties of NiTi wire. The demonstration never gets old, even if you’ve seen it a hundred times!